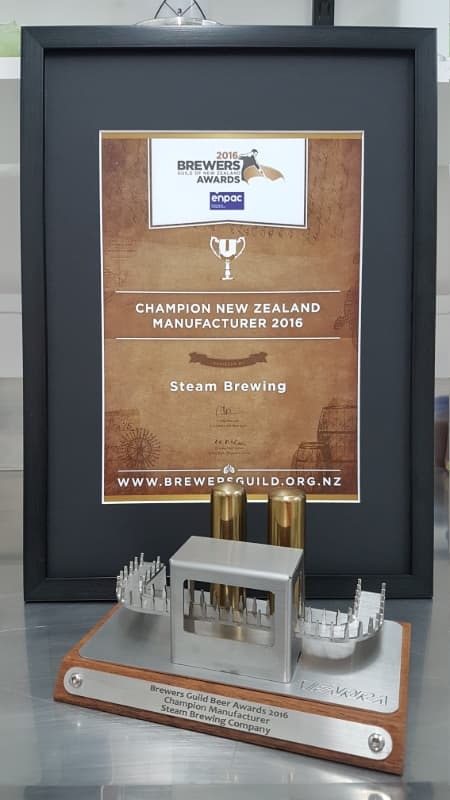 For a 4th straight year, Steam Brewing was awarded 'Champion New Zealand Manufacturer'. 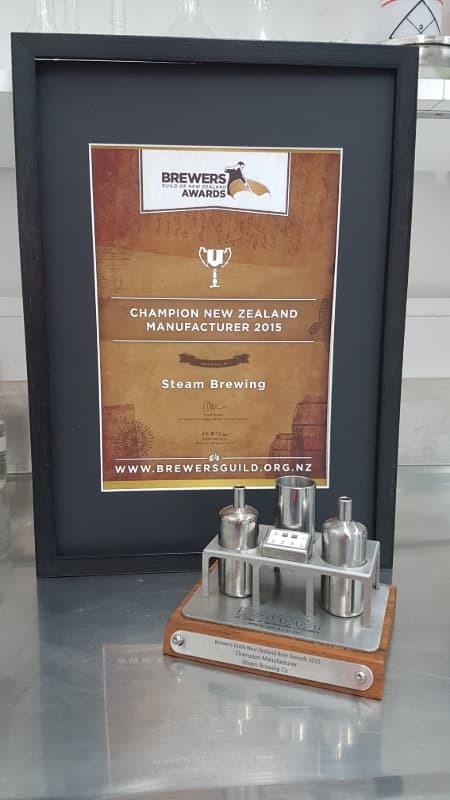 Steam Brewing Company was awarded 'Champion New Zealand Manufacturer' for a 3rd year in a row. We are very proud to be the recipient of this award once again. 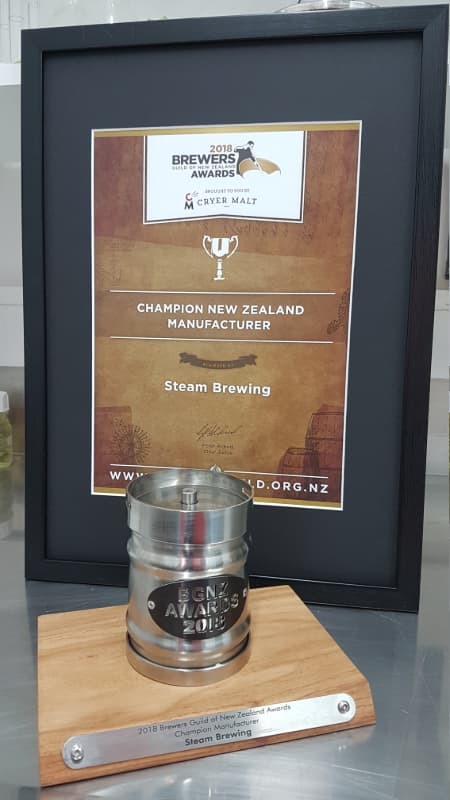 Steam Brewing Company was awarded 'Champion New Zealand Manufacturer' for a 2nd year. We are excited to see all the hard work recognised with this award. 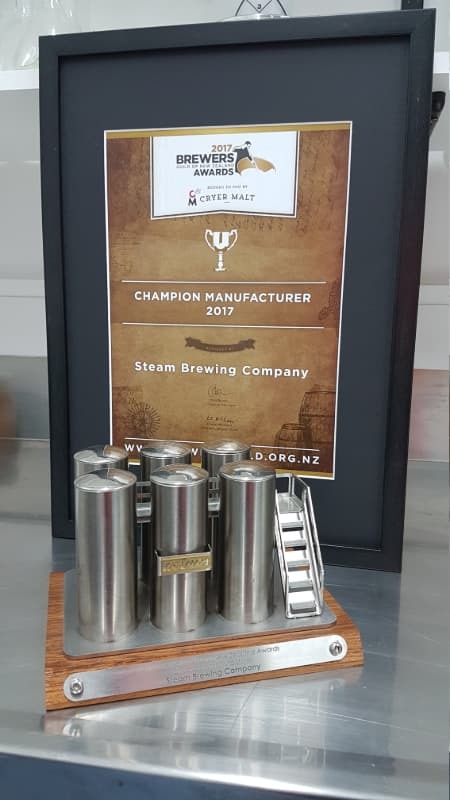 What a proud moment for Steam Brewing Company. We are honored to be awarded the 'Champion New Zealand Manufacturer' trophy. In a previous life, we achieved over 200 medals and trophies internationally through our house brands. We sent our brewers to Wellington for the Sutton Group Brewer's Guild of New Zealand Beer Awards 2012. We were awarded a Bronze for our house Porter. Over half of the medals awarded in the "US Ale Styles" Trophy were brewed on site at Steam Brewing. Congratulations and Well Done to our customers for picking up medals, we are very happy to contribute to your success.